Outside church building on a typical Sunday. Last week one of the elders of the church in Mibu sought our help in contacting the police in the area. Recently a believer in Da.. village (same village as referenced above) was being disciplined by the church there for unrepentant, unfaithfulness to his wife. Often times when individuals are confronted they react very differently. This individual decided to act violently. He began lashing out against others and damaging houses and other property and threatening to hurt others. We haven't gotten a lot of details of what has happened since then, other than that he hasn't stopped being belligerent but instead continues to cause trouble. During church services this last Sunday, 11 men came into Mibu with faces painted black and armed with machetes and bows & arrows. They forced the believers out of the church and rounded them up away from the building down to the basketball court area of the village. There they expressed their anger that one of the Mibu men had insulted his wife who was from one of their villages. They also proceeded to blame the Mibu people for being the ones who had worked sorcery on the two men who had died in one of their villages back in November. For this they were ready to execute some Mibu people! Additionally they were demanding K5,000.00 and a payment of 5 pigs. Some community leaders seeking to calm the situation invited the men into one of the houses. During the discussion when they thought the situation warranted it, they told the men that the insult they heard about wasn't true (both the husband and wife in question agree it was blown both out of context and proportion), and that the accusation of sorcery was also completely untrue, because Mibu--unlike many other places in the area--hasn't been practicing sorcery since the Gospel came and was accepted in 2006. Still, one of their comments struck a nerve and the group snapped. In an attempt to kill, they nearly succeeded in injuring two Mibu men who thankfully were able to run to safety. At this point everyone in the village fled, leaving the assailants free reign. They then proceeded to attack vanilla & food gardens claiming that they would be back as they left. 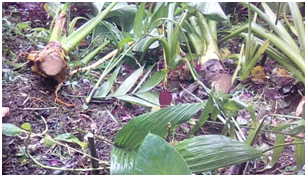 Later in a report, Mibu people were able to identify 6 of the 11 assailants, one of whom is a known murderer. The church has now sent this report to the authorities regarding these six names along other details of the incident. D We have encouraged the Mibus with the words of Jesus in John 15. We are promised in scripture that we will have trouble in this life, especially if we choose to live godly lives. The Mibu church has weathered difficult times before, but it certainly feels like the enemy is ramping things up many more notches. We imagine there are those in the church who are scared, rattled, and possibly looking for the easy out. PRAY they will stand firm in what they know to be true. PRAY that they will not cave to the cultural norms, but instead rely on they power God to show himself strong on their behalf. PRAY that the police are able to come quickly and help address the matters in a helpful way and restore some order to the area. 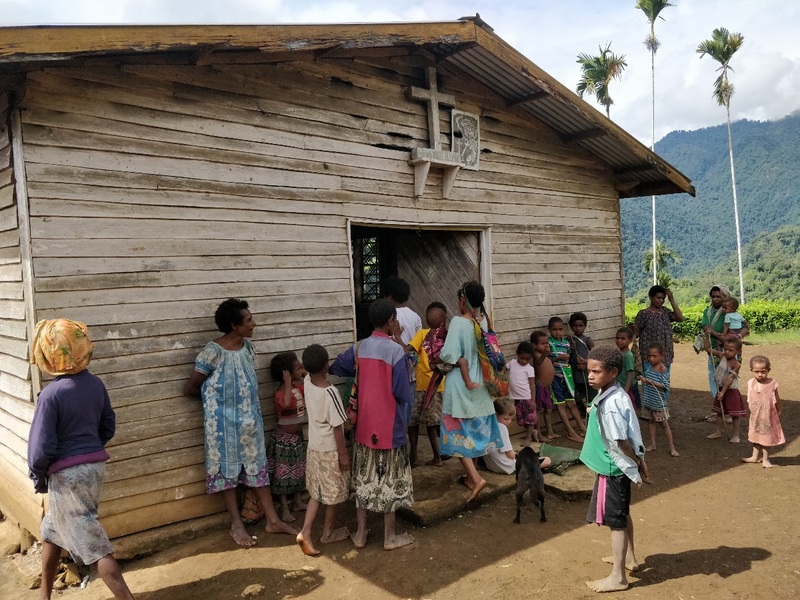 PRAY through it all that the Mibu church will be a shining example to their neighboring communities, and that these accusations and troubles that are coming their way don't affect the peace that has come to be associated with them. Pray for our friends, our brothers and sisters, that they will seek the face of God, and walk humbly in his ways. It's so hard to believe that those words are becoming a regular part of our vocabulary!! Jael graduates in just a year and a half, and anyone who has had kids in high school will tell you that THIS is the time to start making and acting on plans for after high school. Thankfully, Jael's plans have been rather straight forward as she plans to do 1 to 2 years at our Bible school in Jackson Michigan after she graduates from high school...a plan we applaud for more than one reason! AFTER that, the vision becomes much less clear. While she realizes that things can change, and the Lord can redirect (future relationships etc. ), Jael is still looking at what might come after Bible school, and what she might need to do to prepare for that now. Namely, the college board exams: ACT and SAT. For someone who has always struggled with standardized tests, her attitude towards sitting for these is one of maturity. Pray for her, as she prepares and sits for these tests, and as she continues to seek the Lord for what he might have for her in the future. It feels like it's been a while since we've updated you on the kids. Jael officially becomes and adult in a little less than a month with her 18th birthday! (WHERE did the last 18 year go?!) She's busy being a Junior in high school, and all the things that come with that here (fundraising events, class meetings and outings, planning and organizing events). Plus, she has participated in every sport offered this year, with her favorite (soccer) having just started last week. She also has been faithfully attending D-groups (a youth group-like discipleship group here) AND staying on top of her school work. She's learned well how to balance her priorities having on the rare occasion said no to sports or D-groups in order to stay on top of homework. Baruch, now in 8th grade, has also been able to participate in the bi-weekly D-groups. At 14, he is looking more manly every passing month. School team sports do not start until next year for him, but that has not stopped him from picking up as many sports activities as possible through PE, and youth sport nights during the week etc . He's picking up guitar, and has also joined the community choir with his mom and sister. In addition to these developments, he and a friend have also started a junior high boys' accountability group here on center. What a joy it is to see these emerging leadership skills develop! We are also reminded that Titus is growing and maturing as well. School continues to be a challenge for our almost 11 year old, but there have been areas of progress...particularly in reading. Keep praying for us as we continue to seek the Lord to help mold and shape the character of these precious lives entrusted to our care. Chris and Angie Walker . 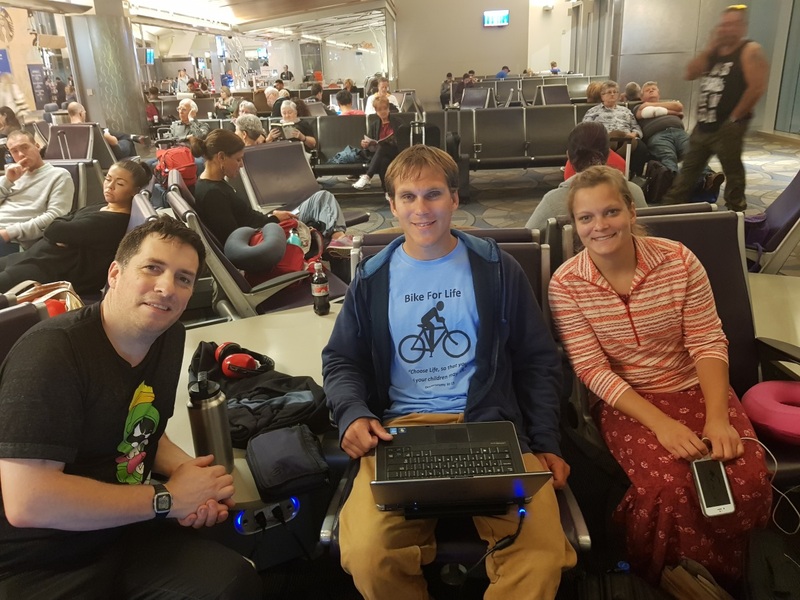 Despite some drama regarding Chris's visa while transiting through Australia and temporarily missing luggage, Chris, Brandon & Rebecca made it safely to Goroka late afternoon on May 31st. That next morning they were joined by Joey Tartaglia and the foursome boarded for the last leg of the journey into Mibu. 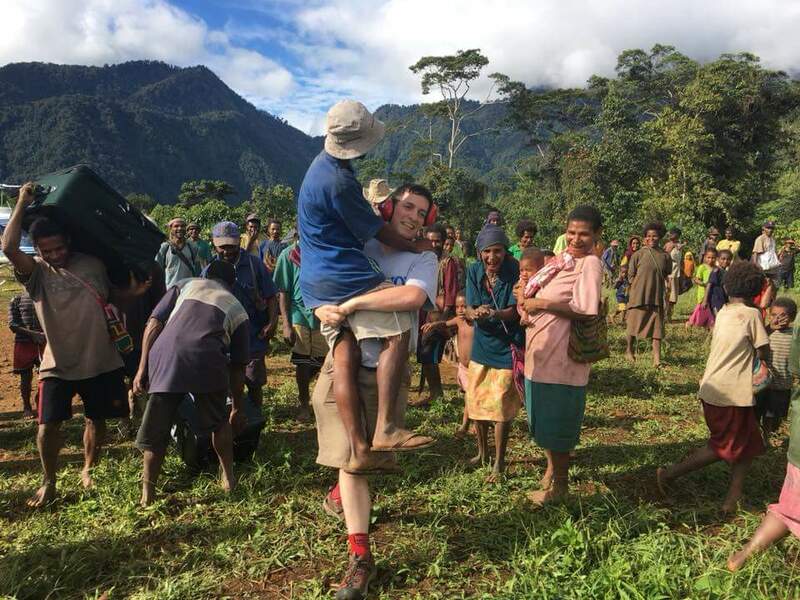 Due to helicopter unavailability they flew to a nearby airstrip where they met with Wycliffe Bible Translator's helicopter and from there were flown the short hop into Mibu. Upon arrival, many had heard of the traveling difficulties experienced earlier and were expressing their joy that prayers had been answered with a safe arrival. Over the last week some needed maintenance on the house was undertaken as we also made final preparations for the elder appointment ceremony on Sunday. After finally arriving in Mibu, we were greeted by many very excited Mibus. Chris "accidentally" mistakes Lucas for a piece of luggage and proceeds to carry him half-way to the house from the Helicopter. 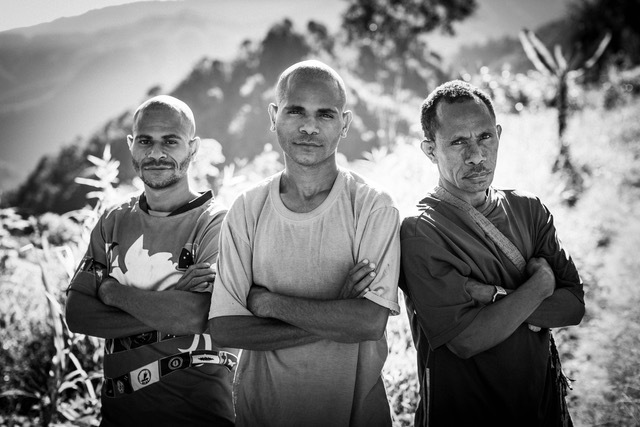 Throughout the week we spent time fasting, praying, meeting and discussing God's appointment of these three men. Brandon & Rebecca spent the week working with a number of Mibus digging on the upper section of the airstrip. Last Monday one of the four men withdrew from the appointment after issues in his life came to light. Disappointments aside, after spending some time with him throughout the week everyone we has been so very thankful for his attitude throughout this withdrawal. We have been expressing our thanks to God for being so very active in the process of selecting these men. In the last several weeks Geoff has been leading a group of over a dozen potential elders through a Bible study on cultivating unity among an elder team. This was a resource that Chris was able to translate while on furlough so it was a joy to see how soberly and joyously the men were receiving and discussing this resource even if it's at the tail end of the Bible study. On Wednesday the helicopter arrived again, this time bringing 3 more people to come and be a part of the appointment process. Bill Michaud as NTM's church liaison came representing NTM PNG leadership's support, John Smith a videographer from New Zealand came with an array of gear to capture photos & video with the hope of making a documentary of the event available in the coming weeks or months, Lord willing. Also, Joel Kemaya the lead pastor of Bena Bridge church in Goroka came to take part and spend time with the believers here and encourage them as they move forward into maturity as a church. Then Saturday night just before the appointment services on Sunday churches from throughout the area met for an all-night celebration of singing & dancing that went from 11:25pm to dawn Sunday morning. Church services started a little earlier than normal. 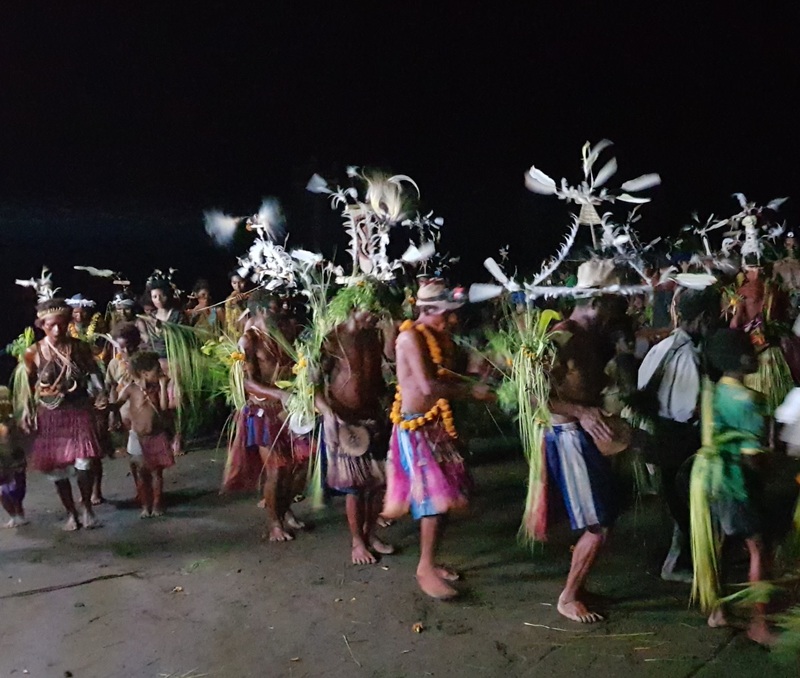 The elders to be appointed, the missionaries and the special guests were all seated in seats of honor while a large group dressed in traditional decorative clothing sang a worship song. Then after prayer we were lead into the church with a drums, guitars & singing. The new elders, missionaries and special guests were seated up front, then after them the other leaders. The church was so full there wasn't enough room for everyone so others stood outside the church looking in. Joey Tartaglia stood and gave a recounting of the history of how the missionary team was formed and how the Gospel was taught and received by the Mibus. Geoff then gave a series of Biblical challenges, some directed to the church body and others directed to the new elders. Major themes of unity, humility, tender care, respect and vigilance against error were stressed. Then Chris stood and gave a recounting of Biblical examples of laying on of hands as found in Acts, stressing that this event was not a passing of power from the missionaries to the new elders, but a identification with and recognition that the Holy Spirit has already shown Himself evident in their lives and ministries. Also mentioning the principles of taking this event seriously through much fasting and prayer. Afterwards Bill Michaud speaking in Tok Pisin encouraged the congregation with Paul's prayer as found in Ephesians that the believers would come to know the breadth and depth of Christs's love. 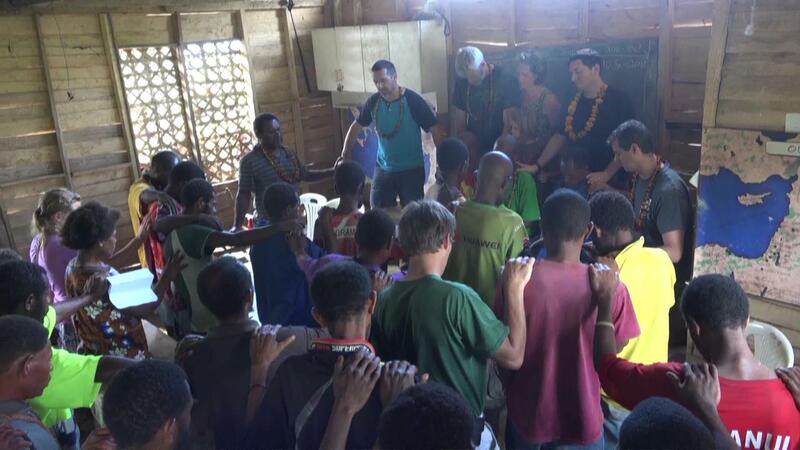 Then he prayed as the missionaries, church leadership and congregation all laid hands on the elders. Afterwards, Chris played and translated a video of support from the elders of Calvary Church of Wayland which was very enthusiastically received. During the video at one point Jim Wobma (an elder of Calvary Church of Wayland) mentioned that it may be that while on earth they may never meet the Mibus, however all the elders at Calvary look forward to meeting them in heaven.. at this the entire church rang out in excited appreciation. After this Joel Kemaya shared of Paul's last parting words to the Ephesian church at the closing of the book of Acts. He encouraged the Mibu church stating that as the missionaries labor among them draws to a close, the torch is now being passed on to the Mibu church, and with God's help they will stand strong from generation to generation. At this then the services were closed with some more songs and prayer. What a momentous day, so very thankful that we have reached this major milestone in the maturity of the church and looking forward to this new phase of ministry ahead of us. We are pleased to announced that all the funds Jael & Rachael need for their trip to China this summer have been raised! It is such a joy to see our children trust God to lead them independantly from us and to see Him working through so many that step into the gap and add support to His leading. Thank you so much all of you for your prayers and support in this way! Copyright © 2018 New Tribes Mission, All rights reserved. 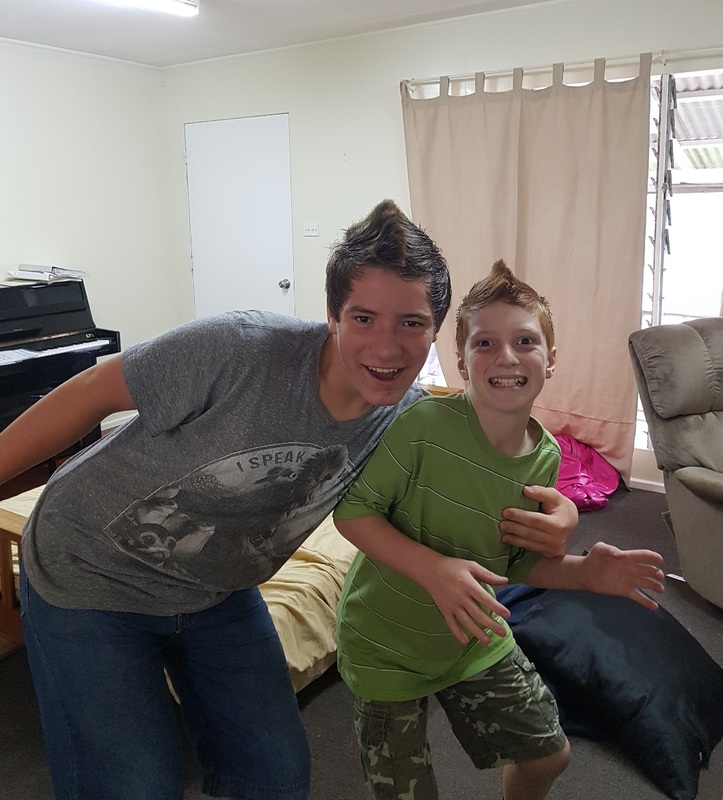 You are receiving this email because you've indicated your interest in following news about our church planing ministry among the Mibu people in Papua New Guinea and updates regarding our family. Give by sending a check to our business address (be sure to designate "For the Ministry of Chris & Angie Walker"